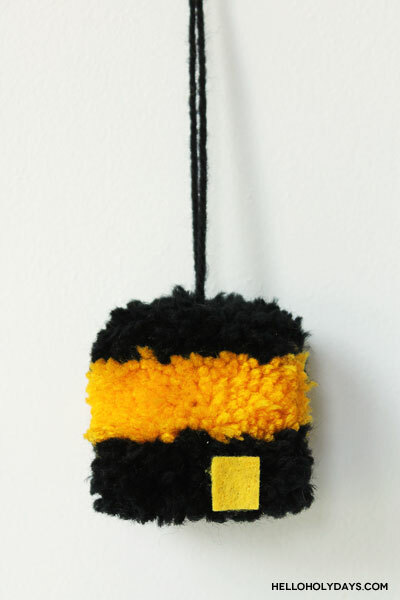 DIY Pompom Kaaba – Hello Holy Days! Wrap the pompom maker completely in yellow yarn. 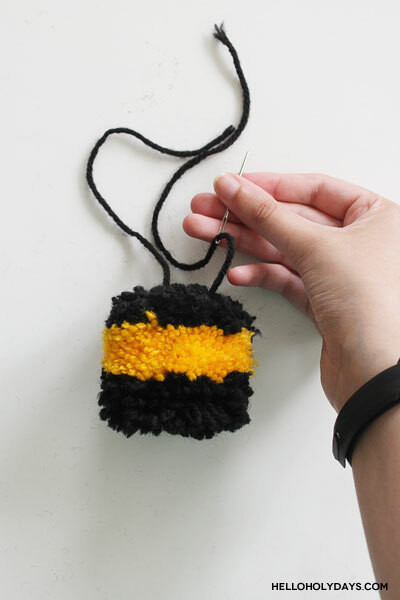 Now, wrap the pompom maker completely in black yarn by wrapping on top of the yellow yarn. 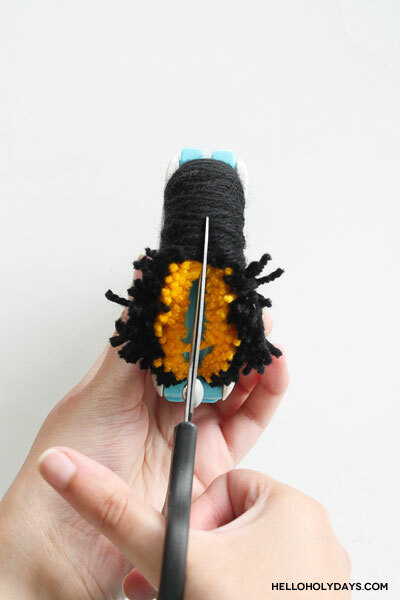 Use craft scissors to cut all the way along the slit of the pompom maker. 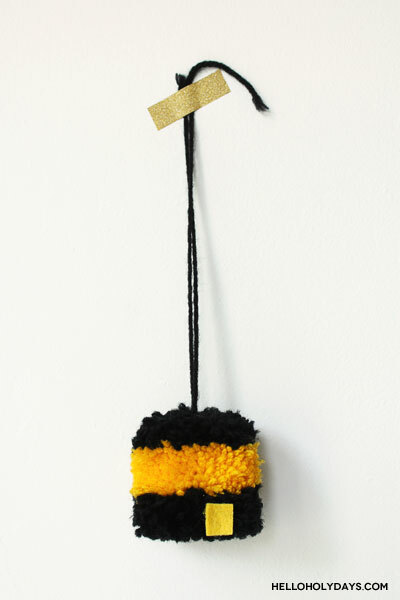 Tie black or yellow yarn tightly along the slit of the pompom maker. Open the pompom maker. 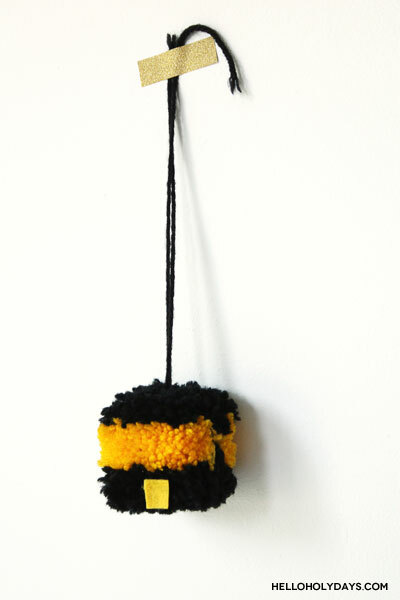 You’ll be left with a round black pompom that has a yellow stripe down the centre. 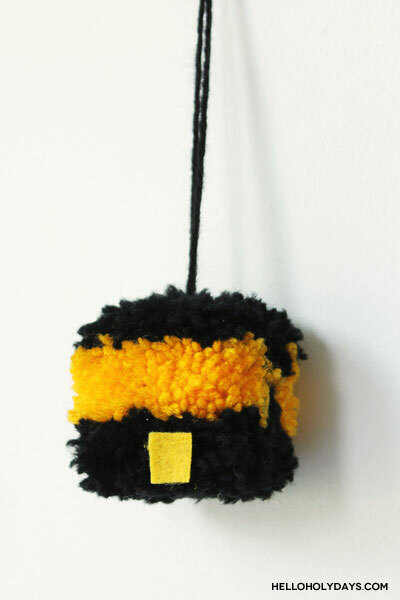 To make this look like the Kaaba, use embroidery scissors to trim the pompom in such a way that it looks like a cube and the yellow strip is positioned closer to the top than the middle. 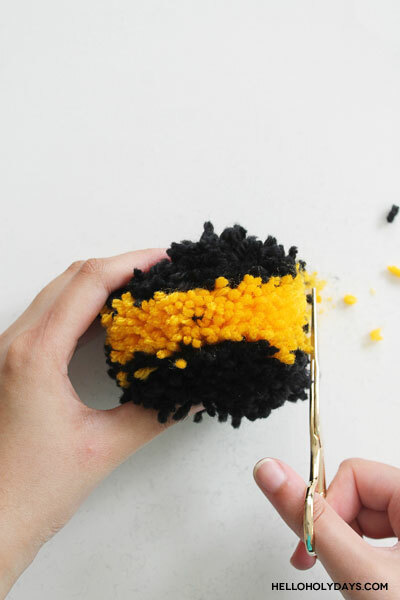 (To make the yellow strip positioned closer to the top, you’ll want to decide what is the top of your pompom and what is the bottom. You’ll want to trim more black yarn from the top. 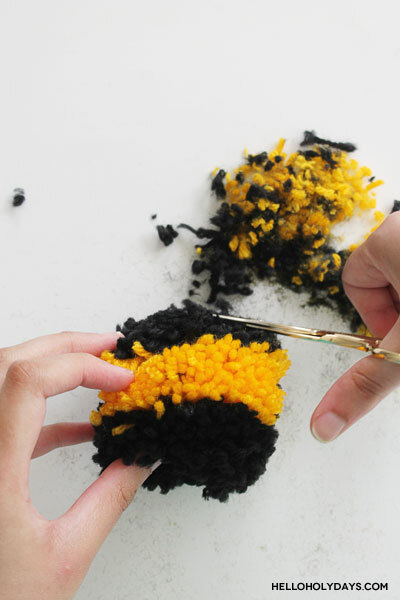 Trimming the pompom to look like the Kaaba will take about 20 minutes. 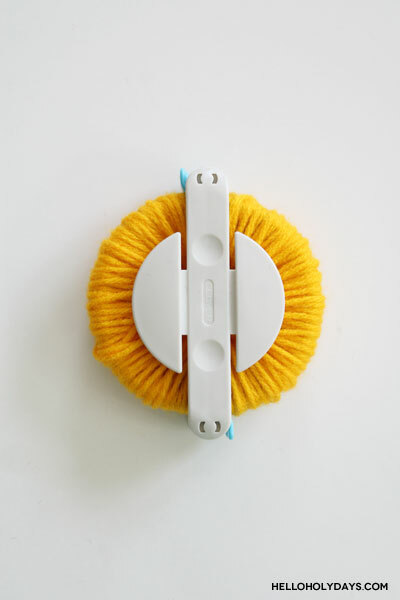 Go slow because if you trim too much, you might cut the knot in the middle of the pompom that is holding the pompom together. If that happens, your pompom will completely come apart! 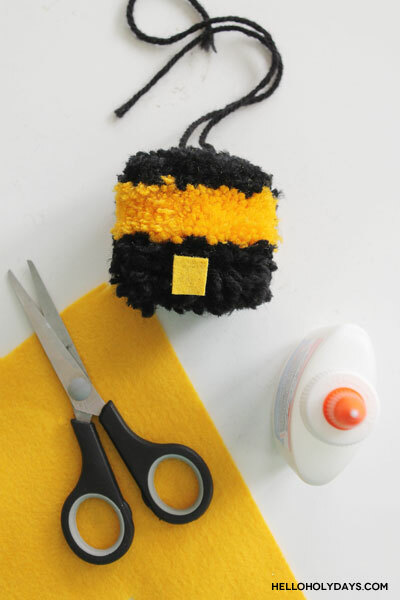 Once you’ve trimmed the pompom to a cube shape that you’re happy with, use the yarn needle and thread some black yarn to the top. 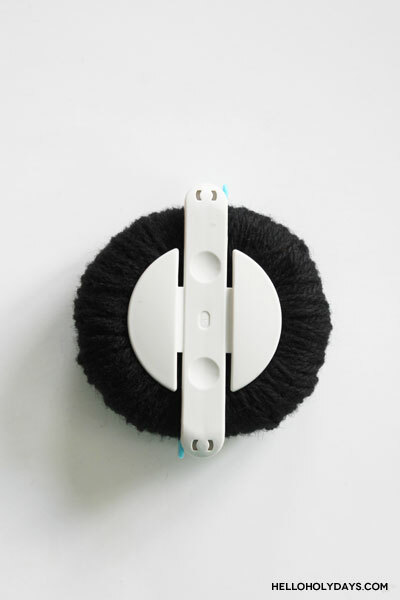 This will allow you to use the pompom as a hanging ornament or a keychain. If you plan on making a garland, you can choose to skip this step. For a garland, you can cut a 4ft long piece of yarn and thread it right through the top of all the pompoms you’ll be using. 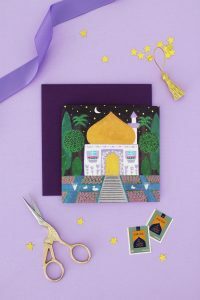 Once trimmed, use craft scissors to cut a small door for the Kaaba from yellow felt. Use white glue to secure the door to the Kaaba pompom.